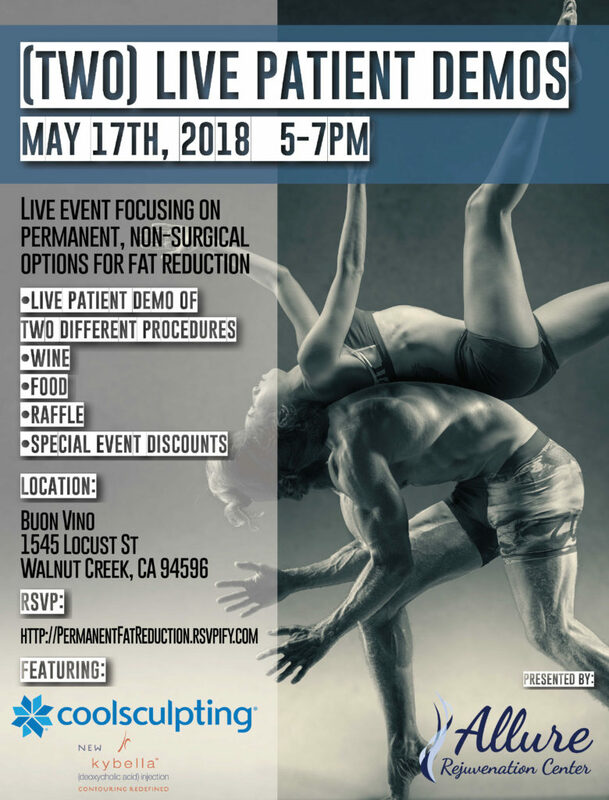 Don’t miss this opportunity to watch a live demo of 2 treatments for permanent, fat reduction. Learn how these individual treatments work and how they can be used in combination to optimize results. Introducing CoolSculpting and Kybella. Both treatments are non-invasive and permanent.